All of the 300+ employees of Southern Oregon Goodwill earn a minimum starting salary of $11.25 an hour. That is higher than the federal minimum wages of $7.25 an hour. Participants enrolled in our job training programs may get job experience training at community employers, no matter their barrier to employment, as a step in their individual development plans. In 2018, 324 Goodwill graduates earned an average of $11.46 per hour. From our career fairs, to resume writing, to interviewing skills, Southern Oregon Goodwill helps your friends and neighbors get back to work. Last year, Southern Oregon Goodwill provided job training and placement services for 5,947 people in our community and placed 324 people into new jobs. We operate five Workforce Development offices in five counties in Southern Oregon and Northern California, six Job Connection career centers and four Learning Labs for computer and other skills classes. In fact, 86¢ of every dollar earned in our Southern Oregon Goodwill stores helps support these efforts. All of that money stays right here in Southern Oregon. Many people think our stores are just places that sell used items to people with low incomes. While we are happy we can provide affordable goods, our stores do so much more! Money raised in our stores supports the many programs and services we provide in our community. Southern Oregon Goodwill operates 8 regular thrift stores, the Good & Will boutique in Ashland, 3 “As Is” outlet stores, and ShopGoodwill.com, an online auction website, all which benefit our career services. So, just like a hospital auxiliary thrift store helps the community through the hospital, a Goodwill store helps the community through all of those career services that Goodwill provides to folks with barriers to employment. Like other non-profits, Southern Oregon Goodwill is managed by respected business leaders and a volunteer board of directors which provides guidance. Southern Oregon Goodwill isn’t “owned” by anyone. 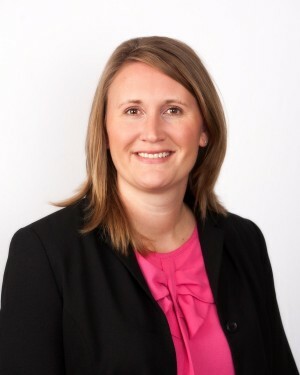 Our CEO, Shae Johns, has been with our organization for more than 10 years, serving as President and CEO since November 2014. Is she making millions of dollars a year? No, but she is fairly compensated for someone with a great deal of experience and the responsibility of managing a $15-million operation with more than 300 employees, and ensuring Southern Oregon Goodwill fulfills its mission to serve more than 3,150 job seekers each year. Southern Oregon Goodwill’s Board of Directors sets the salary and compensation for our CEO. The Board of Directors reviews the CEO’s compensation within the context of the organization’s revenues, service to people, and overall impact on the community. An executive who helps to raise more money and thereby helps to provide more job training in the community is likely to be rewarded by the Board for his or her efforts. Many charities spend a high percentage of their income on overhead and fundraising. We don’t. When you shop at our stores or donate to Southern Oregon Goodwill, 86% of that money goes back into the mission services we talked about earlier. Sure, overhead expense isn’t the only way to judge a responsible charity, but it is important. And so is this: Nationwide, Goodwill is rated an “A” grade by Charity Watch, and was named 11th on the list of the country’s “20 Most Inspiring Companies” by Forbes Magazine — Goodwill was the ONLY nonprofit on the Forbes list from 2011 to 2014. Southern Oregon Goodwill’s records are audited annually by an independent organization. 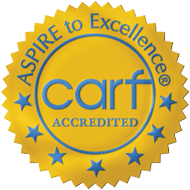 We are also fully accredited through CARF, the Commission on Accreditation of Rehabilitation Facilities. That is the highest accreditation any human services non-profit organization can receive. We have received a Silver Rating from GuideStar Exchange, an independent watchdog organization reporting on charitable organizations and their transparency of fundraising and use of donated funds. Now that you know the truth about Southern Oregon Goodwill, please help us by sharing with others.